Princess Diana’s body guard of eight years, Ken Wharfe, hasn’t been in the royal protection game for a while — he left Di’s side in 1993 — but you better believe the Guarding Diana author knows what’s up in the world of high-profile bodyguarding. 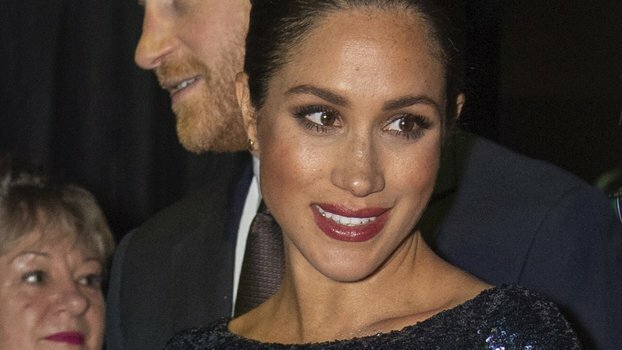 Amid reports that Meghan Markle’s personal protection officer is stepping down after less than a year of service, Wharfe weighed in on concerns about the Duchess of Sussex’s safety, a major point of which concerns her unpredictable family. And OK, duh, who isn’t concerned about Meghan’s fame-hungry fam messing with the literal fairytale the former Deal or No Deal briefcase girl created for herself? But, according to Wharfe, the chatty Markle clan is more than just a gnat on the back of the royal hand — they’re an actual security threat. “The worry is that one or more of them might turn up not at the Palace but on one of her working trips, perhaps with a TV crew in hand to film the confrontation,” he revealed. Wharfe also expressed concern over Meghan and Prince Harry’s decision to move to Windsor. “With such an open space as Windsor Great Park around them, it will be harder to secure,” he said.